Komplett med alla kort samt engelsk beskrivning. 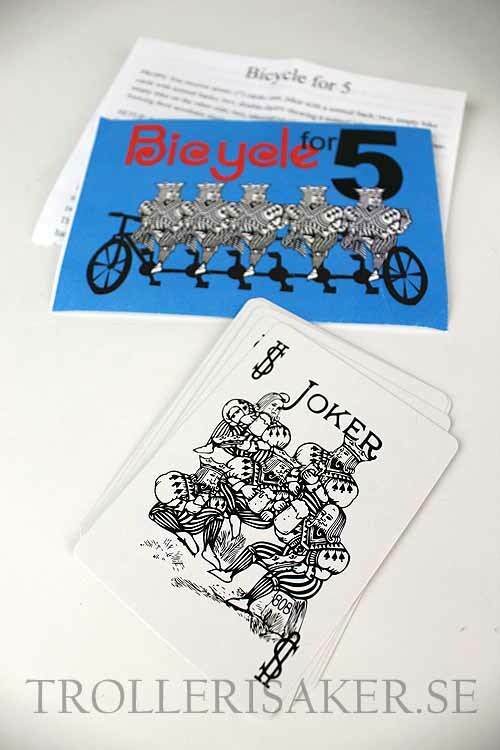 Five bike-riding jokers are displayed, backs and fronts. One joker-the leader-is put aside, face-down. One by one, the remaining jokers turn over. When the faces of the cards are displayed, they are seem to bear only abandoned bicycles. Where are the missing jokers? They're found on the face of the leader card, where they've joined together in an acrobatic cycling demonstration!